Having seen Voltron when I was a kid, watching this is like seeing a director's cut of the series where I get to see what really happened instead of the mess we got in Voltron. There's lot of places where Voltron looked like it was hacked up and thrown together in ways that made no sense. Now I've seen what the original intention was and all my questions have been answered. It took some getting used to for the music and Japanese names in the beginning but it was worth it. I was being lied to in Voltron because of how obvious it was that they were reusing frames or even entire scenes from multiple episodes in the same episode. Seeing this brought all my questions about what was going on in the series to rest. Thanks to Crunchyroll for hosting this series and bringing it to light! I liked Voltron when I was kid, but seeing the original is way better! I really wish the censors didn't exist. Voltron is NOT the original, GO LION is! Hacked up, sanitized, and story changed for USA audiences, Voltron has its place, but its place is not that of an original. Go Lion is on the money for a really good story. Other than some minor issues (basically with the narrator) it stands the test of time. Yes the artwork may not seem the greatest, but in the 80s it was good artwork. If you have fond memories of Voltron from your youth, Go Lion will replace it with a story that is better than can hold your interest as an adult! The anime known as "voltron the defender of the Universe"
Omg, I never thought i'll see the day i'll see this on crunchy. 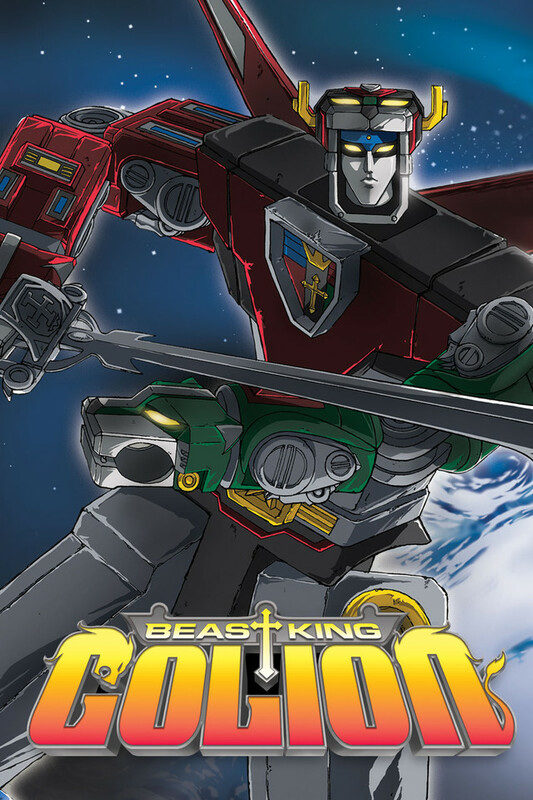 if you watch it in USA it was called "Voltron" and it involved the five lions, red, blue,yellow, green and off course the Princes's pink lion. Together they created the giant robot called "go lion " the origin anime in Japan. I love this anime, I'm glad i got to see it here on crunchy.. nothing beats the original in the original language. I wasn't a big fan of the vehicle voltron but major fan of the Lion voltron so this brings back great memories.. But I'm truly glad to see the original anime. thank you cr. Go Lion begins in the year 1999, when the planet Altea is subdued and enslaved by the Galra Empire.